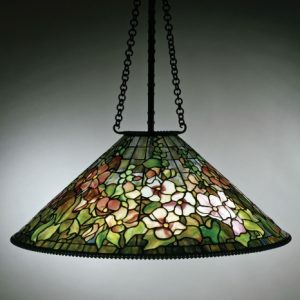 Tiffany Studios leaded-glass lampshades and windows, designed with colorfully luminous opalescent glass, shine as some of the twentieth century’s most striking, iconic decorative objects. 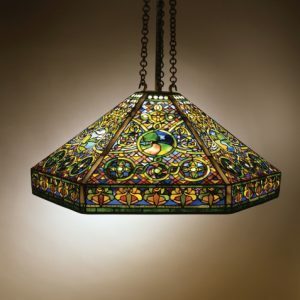 As a painter, Louis C. Tiffany – son of Charles Lewis Tiffany, founder of luxury retailer Tiffany & Company – was captivated by the interplay of color and light. 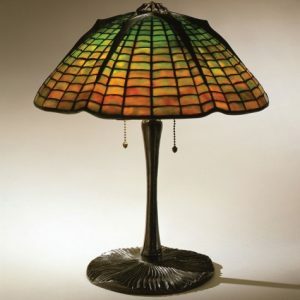 As his artistic and business interests expanded, Louis Tiffany directed hundreds of Tiffany Studios artists and artisans who created an array of decorative art objects. 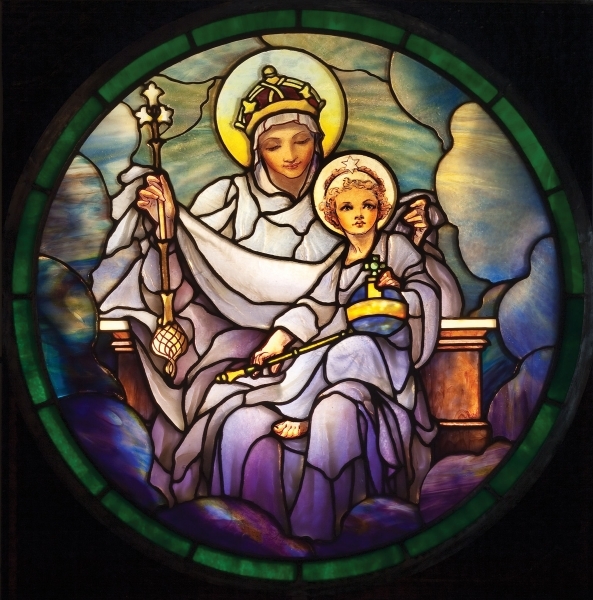 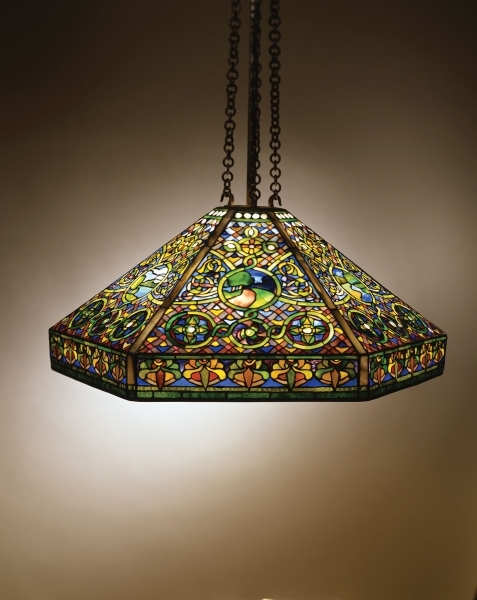 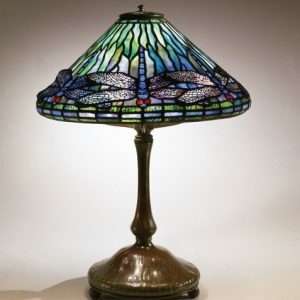 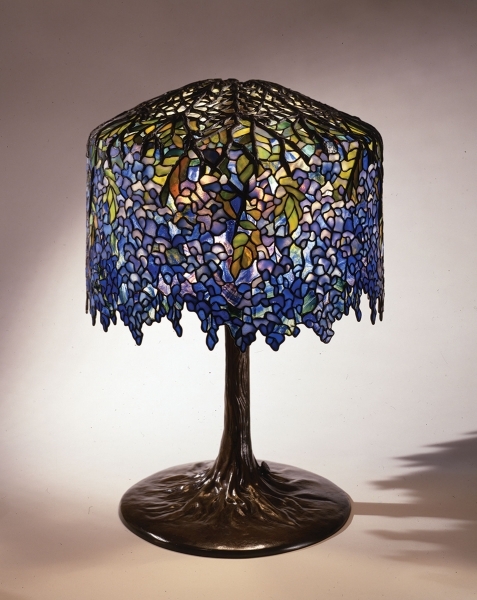 The use of opalescent glass and innovative techniques, marking a departure from the centuries-old stained glass tradition of painting on the surface of glass, achieved impressionistic effects in Tiffany’s signature leaded-glass work. 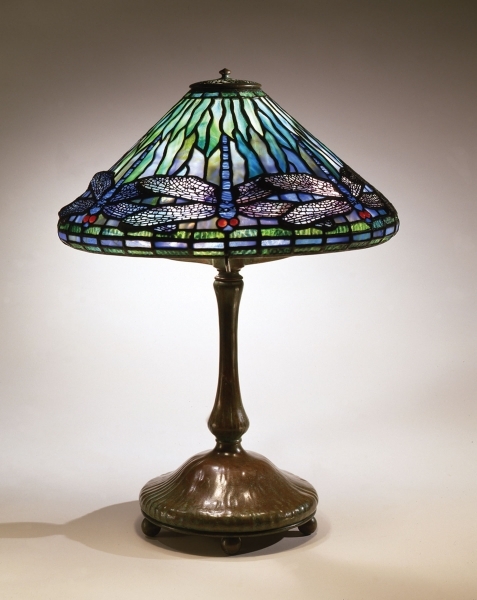 Glass – masterfully selected for its color, opacity, and texture – was assembled to create translucent flowers, gossamer dragonfly wings, landscapes, and domes of geometric patterns. 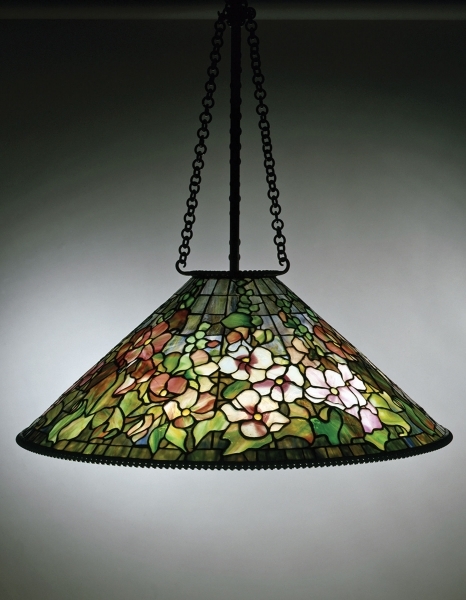 The vast and varied glass palette and intricate designs became hallmarks of Tiffany Studios. 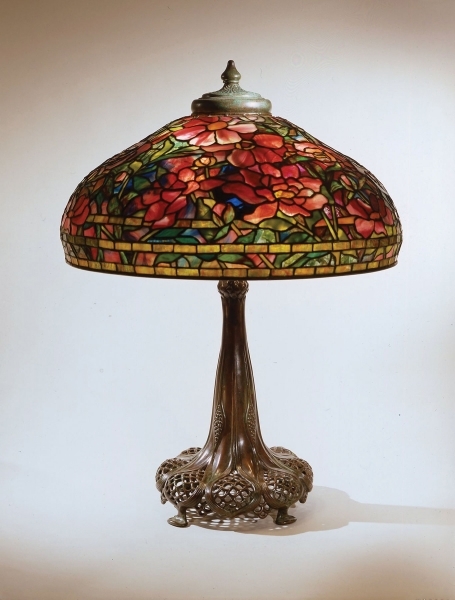 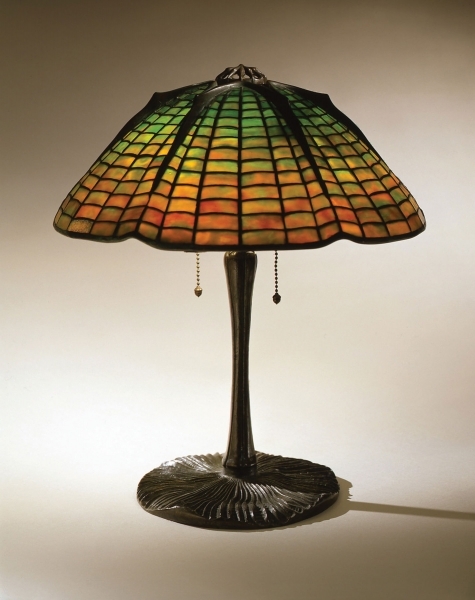 The exhibition highlights the contributions of Tiffany Studios chemist Arthur J. Nash and leading designers Agnes Northrop, Frederick Wilson, and Clara Driscoll and also includes an educational model illustrating how leaded-glass shades are fabricated along with examples of Tiffany lamp forgeries to explore issues of authenticity and connoisseurship. 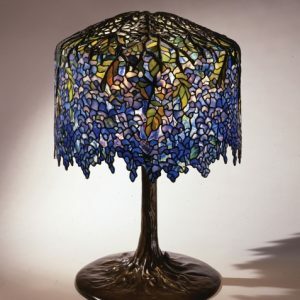 Tiffany Glass: Painting with Color and Light was organized by The Neustadt Collection of Tiffany Glass, Queens, New York. 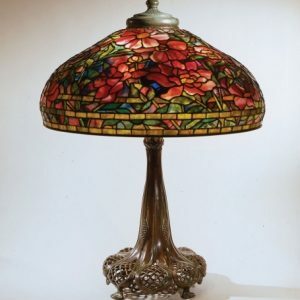 Learn more via this InCollect article by the director of The Neustadt Collection of Tiffany Glass and exhibition curator Lindsy Parrott.